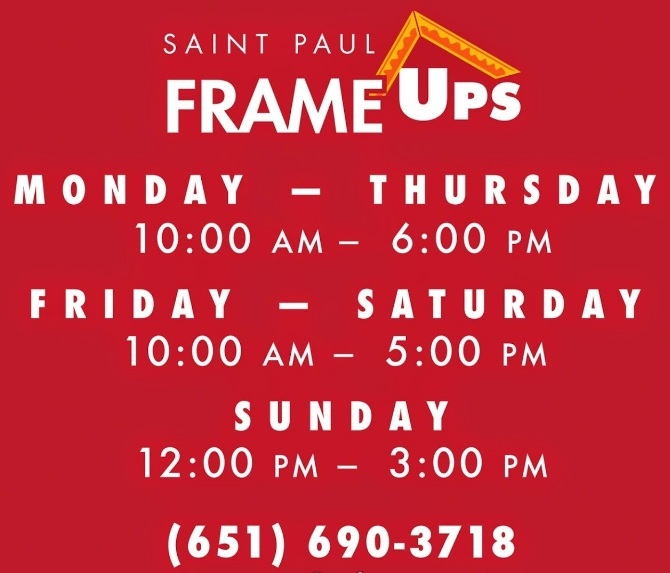 Saint Paul FrameUps is your locally owned, independent custom frame shop located right in the heart of Saint Paul, Minnesota. We offer archival quality picture framing for your art, photographs, and all framing needs, all created directly on site. Our experience in framing since 1998 shows through in our high quality and service that we take pride in sharing with our community. It's our honor to create beautiful pieces of art for your home, office, or business.